Hey friends! I thought I would drop by with literally the easiest tutorial ever on my blog. Ever since Fixer Upper aired Joanna Gaines has taken the world by storm and now it seems that the Farmhouse look is in and it ain’t going nowhere! I always see cute rustic signs all over Instagram and Pinterest and I thought I would be awesome to have a little sign myself so I can place in it my kitchen. 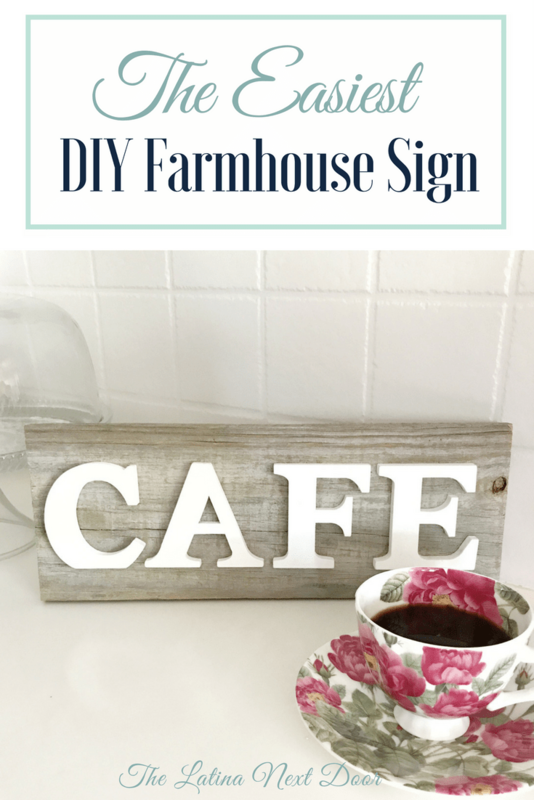 So I came up with the following DIY Farmhouse sign and I thought I would share how easy it is to make. 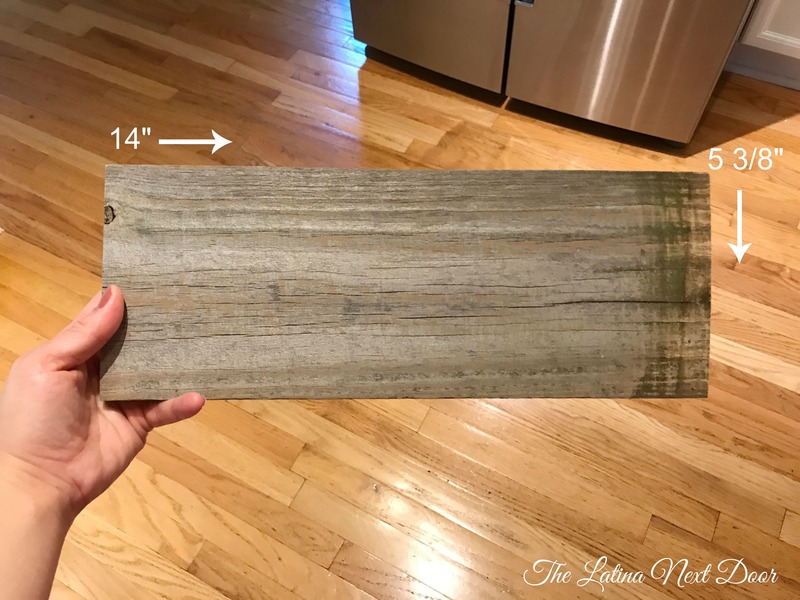 We actually have a bit of reclaimed wood at our house so I grabbed a plank and cut it down to the following measurements. You can use a hand saw or a miter saw. We have this beast of a miter saw, since we tend to do a lot of cutting around the house and my husband apparently likes big tools. This particular sign is 14″ in length by 5 3/8″ in height. Make sure that when you sand it you do it ever so slightly in order to keep the weathered look. I sanded until there were no splinters. I didn’t worry about sealing it or anything since it’s not going to get anymore “weathered” in the house and it actually looked really pretty just like it was. I got my letters from Hobby Lobby – they are 3″ letters for $1.49 each and the best part was that they were already painted (less work for me!). Simply space out the letters the way you want them on the wood and add glue. Let them sit for a couple hours and you have a brand new sign. The sign is supposed to say Café in Spanish, but since there were no wooden accents it went without, but it still works for me! I didn’t add any hardware to the back just yet since right now I have it propped against my backsplash in the kitchen and will leave it there for a little bit until I figure out where else I can put it. I love how it turned out! It is absolutely adorable so get out there and make your own, cause that was easiest DIY farmhouse sign I’ve ever seen and at only $6 it was well worth it! P.S. Want more fun projects and tips like this? Subscribe below so you don’t miss a thing! Plus, there are some great announcements coming soon you won’t want to miss. P.P.S. Have you heard? 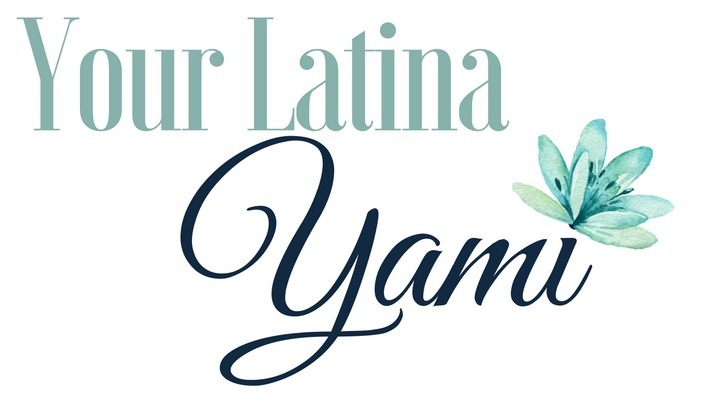 The Ultimate Homemaking Bundle is on sale for the next 4 days! I’ll be emailing more information about it, but I wanted to give you the chance to check it out right now. Just click the link to better homemaking at a price you just can’t beat…. to the tune of 97% OFF!!!!! !